Customers who purchased their phone at a reduced fee in exchange for a three year contract can now cancel their plan without a cancellation fee provided that they have completed at least 2 years of their contract. Those who started their contract before June 3rd, 2013 will be able to cancel without incurring a fee. Those whose contracts were signed between June 30th, 2013 and December 2nd 2013 will pay a cancellation fee of up to $50, or 10% of “the remaining monthly charges under your contract”– whichever is lower. 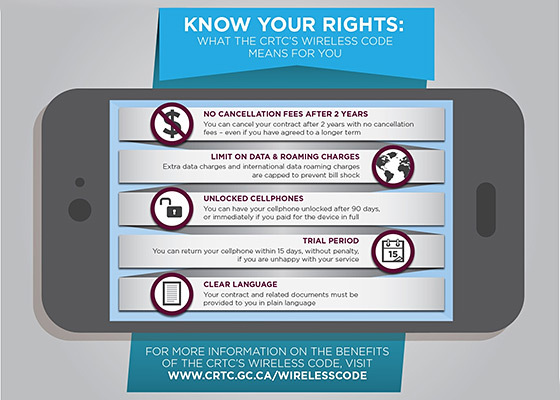 The Wireless Code of Conduct states that carriers may not charge more than $100 in roaming fees without the permission of the subscriber. So, for example, if you were on your honeymoon or a vacation and accidentally incurred $100 in roaming fees, you should receive a courtesy text message or email from your carrier requesting your permission to continue services (and charges). However the best way to avoid roaming charges completely is to always unlock your phone so that you can use a local SIM card while on your travels. The same courtesy text or email will be sent to those who incur $50 of data over usage fees while using their home network covered area. Service providers are now obligated to unlock phones without restriction after 90 days of use OR if the customer purchased the phone in full. However, be aware that as the Code has not stipulated any fixed cost for the unlock service, carriers are still able to choose how much they charge. Customers now have 15 days to test the service. Within 15 days and within certain usage limits, you may now cancel your service and return the phone at no cost if you feel your phone deal does not meet your needs. Limitations must be written in clear language so that everyone can understand. All contracts must be laid out and presented in simple language terms. Additionally, changes to the key terms and conditions may not be made without your permission, and you have the right to refuse changes. 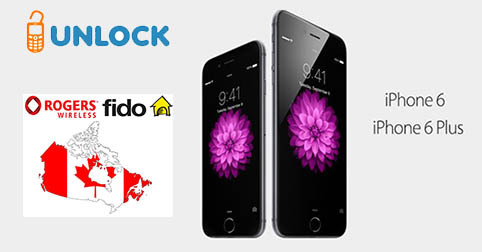 Today we unlocked the first iPhone 6 and iPhone 6 Plus from Rogers Canada, and Fido Canada. Same Service, Same Price, Same time frame of delivery, and same great support from UnlockBase Team ! Don’t forget to always “Activate” your iPhone before place your order. This service is to Unlock your iPhone from Rogers or Fido Canada so he can accept any SIM Card, it’s not iCloud Activation Lock removal service. We’re the Direct Source to Unlock all iPhone from Rogers and Fido Canada. 09:00 to 17:00 eastern standard time (EST). We finally add the missing service – for our customers from Canada – that will allow them to Unlock absolutely all iPhone (including 5S/5C) from Bell Mobility, Solo Mobile, and Virgin Mobile Canada. With this new addition we’re now able to unlock all iPhone from Canada, and we take advantage of this good news to reduce the price of our existing service to unlock iPhone locked on Telus/Koodo and Fido/Rogers Canada. We’re pleased to inform our customers that starting today you can request Unlocking Code for almost all Cell Phones (except iPhone) locked on Mobilicity Canada. Service is 100% Tested & Working with a very reliable supplier, and we just need the IMEI to get the Unlock Code! However as most of the Mobilicity Cell Phone are already supported with “Factory Code” at a cheaper rate, this service seems to be particularly interesting for BlackBerry Z10 ! 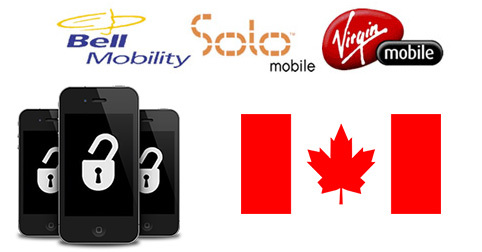 We’re pleased to inform our customers that we just find a cheaper source to Unlock Cellphone from Bell Mobility, Solo Mobile, and Virgin Mobile in Canada. This service support all models except iPhone, but all other brands are support including Nokia Lumia ! We just reduced the price of this service in all account ! Turnaround of Delivery: less than 24H from Monday to Friday. * If you find cheaper just contact us by email to negotiate a better deal. We just add a new service to Unlock all Samsung from Canada. This service is cheaper than the tool “Samsung Canada (All Levels – Instant)” (ID: 366) as it cost $21 instead of $39 !! But Service deliver only the NCK Code (Unfreeze on REQUEST as by default we only get the NCK). 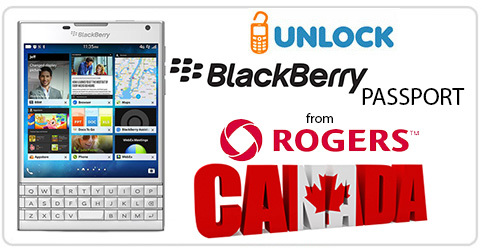 Still support all Samsung Unlocking from Rogers, Bell, Telus, Wind, Mobilicity. from Monday to Friday (usually from 10am to 4pm). We just add a new service to Unlock iPhone from Rogers & Fido Canada, including the iPhone 5 in less than 4 working days. This service is much cheaper than the previous service but in some situation it fail giving confirmation of unlock (Not Found). In this case you can still use a second option the previous service. 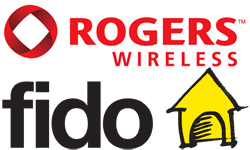 Warning: Both Rogers and Fido Canada are supported BUT you need to run all IMEI with “iPhone Network Finder & Simlock Status” before place an order using this service and check if it show “Next tether: Fido Flex”. If it show this then YOU MUST NOT SUBMIT the IMEI as it won’t be unlocked and the supplier will charge and not Refund.